Editor’s note: Add a splash of maritime to the wrist with fine naval details dispersed from its bow to its stern. 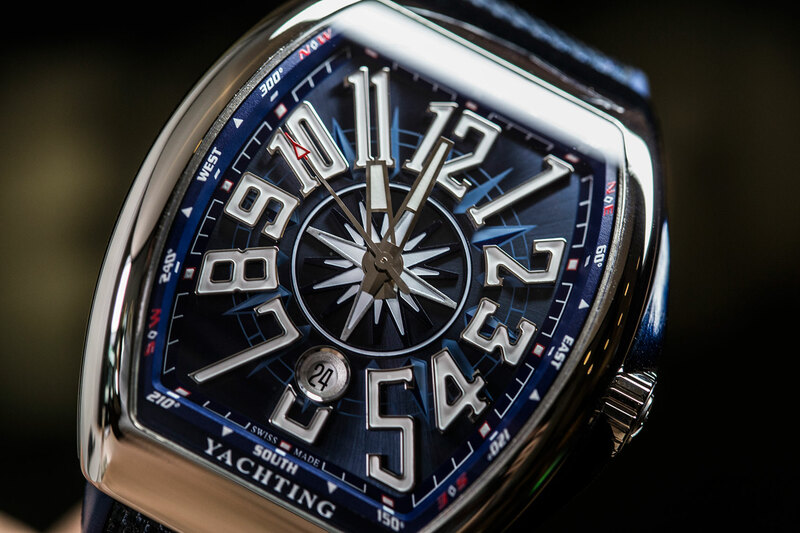 Recently we covered the latest super-yacht-friendly release from the master of complications, the Franck Muller Vanguard S6 Yachting. So what better time to revisit the seagoing origins of the Yachting collection? And take a look back to where it all began, with this blue-dialled version that’s equally as nautical and just as vanguard. The last time we had Franck Muller in the office it was a bold Vanguard clad in sinister black and red – a watch that was at once sporty and menacing. Today we’re looking at another take on their trademark curved shape, and while the case and dial layout are similar to the Vanguard, the overall look and feel couldn’t be more different. The name gives the game away a little, but the Yachting watch offers a fresh nautical feel on the wrist. The marine allusions start with the dial, a shimmering navy blue that pairs well with the bright white Arabic hour markers. On top of that, the centre of the dial displays a compass rose, a navigational motif that is picked up in the outer section of the dial (complete with lines of latitude and longitude), with bearings on the outermost section. If you were still on the fence about the world this watch lived in, the ‘yachting’ text at the bottom of the dial will seal the deal one way or another. There’s no denying that there’s quite a lot going on with this dial, and it won’t be for everyone. But it’s colourful and fun, and would definitely look the part on the pristine white deck of a mega-yacht. 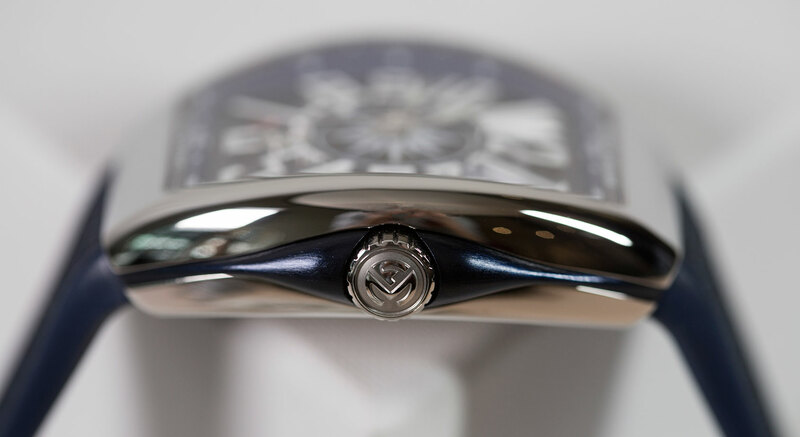 Like most of Franck Muller’s line-up, the Yachting watch makes its presence known, and here it’s not just down to the case size – though at 44mm it wears large on the wrist – rather, it’s the rounded surface and mirror-like polish that really make it stand out. An interesting detail is the biomorphic blue crown guard, which continues both the blue theme and accentuates the general curvy-ness. 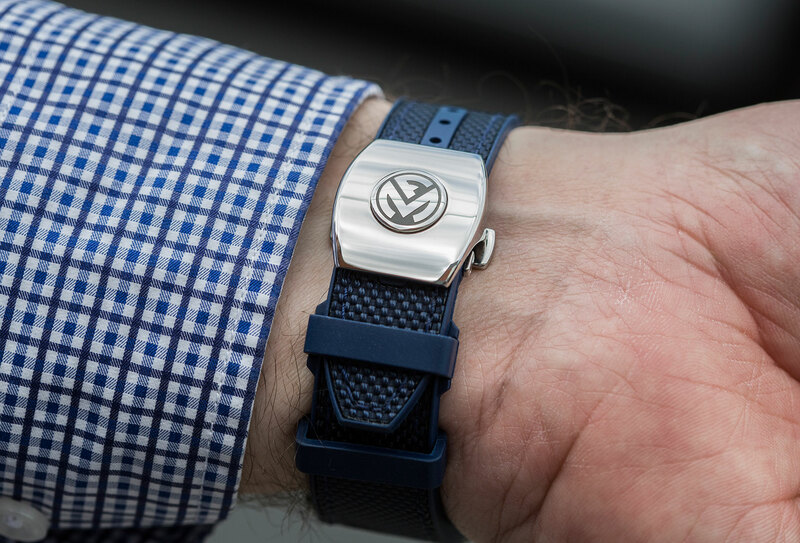 The integrated strap is a high point for me, a blue woven sailcloth-like material that’s inset in rubber. 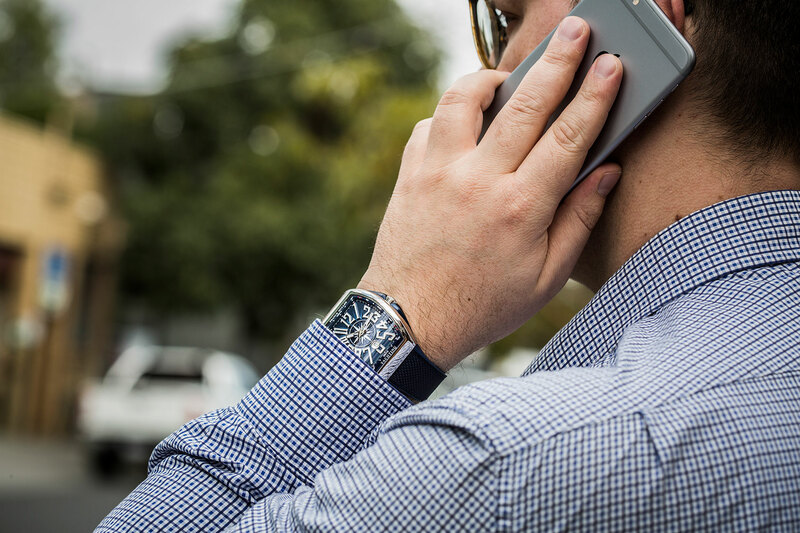 It tones down the watch, without making it overly casual. 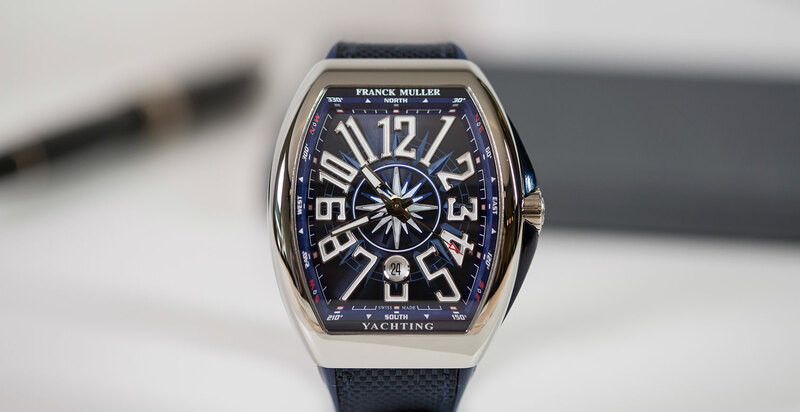 So if you’re lucky enough to live a life of endless summer, know your plimsoll line from your hull displacement, but don’t have to handle the rigging yourself, then Franck Muller’s latest collection might just be for you. 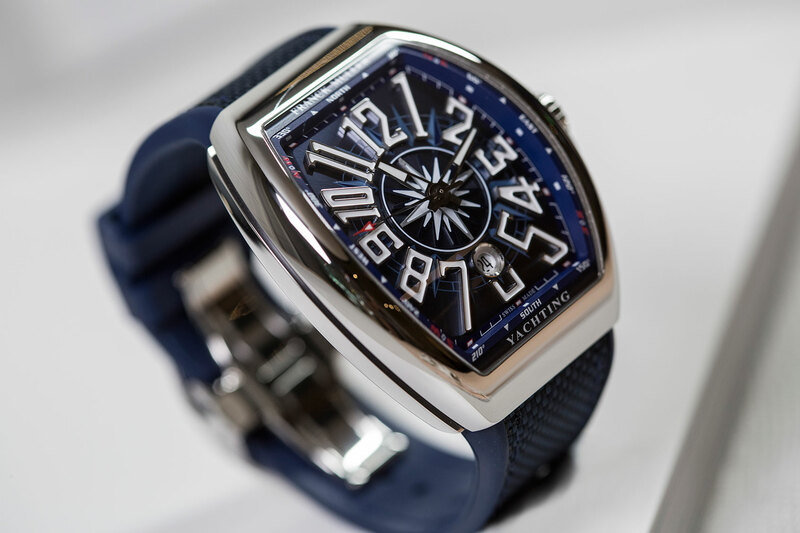 The Franck Muller V45 SC DT YACHTING AC, in steel, $15,200.